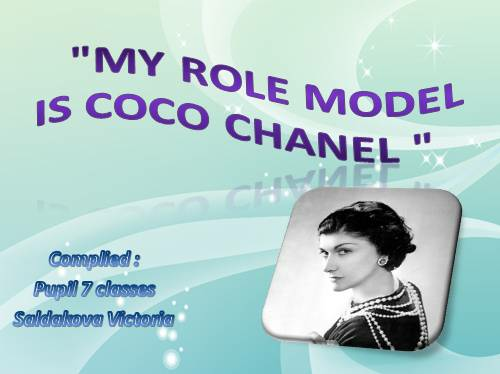 Coco Chanel was born on August 19, 1883 in Saumur, France. 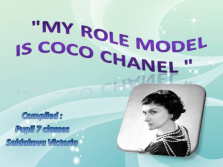 Her parents were not married. 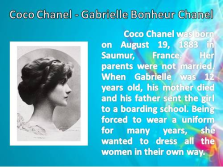 When Gabrielle was 12 years old, his mother died and his father sent the girl to a boarding school. Being forced to wear a uniform for many years, she wanted to dress all the women in their own way. 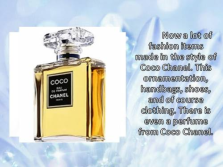 Twenty Chanel did not like clothes that made ? 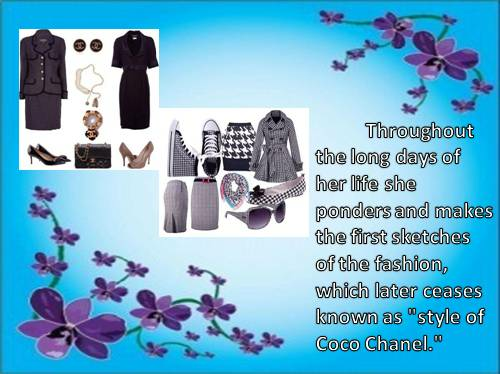 ?her walk with small steps. 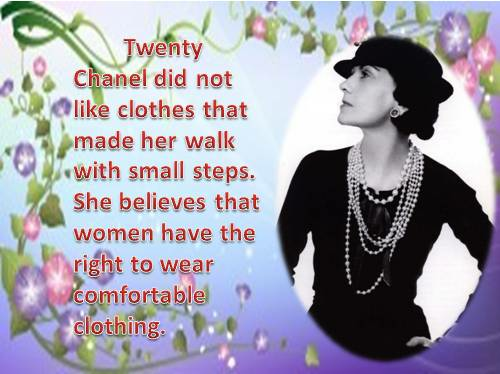 She believes that women have the right to wear comfortable clothing. 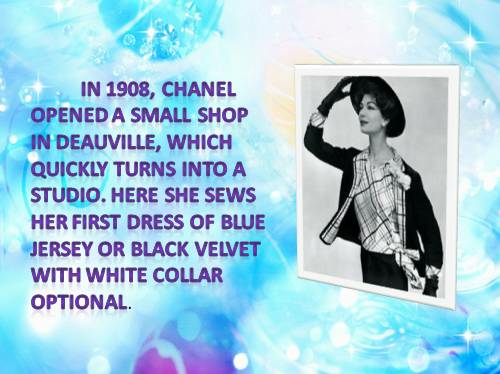 In 1908, Chanel opened a small shop in Deauville, which quickly turns into a studio. Here she sews her first dress of blue jersey or black velvet with white collar optional. 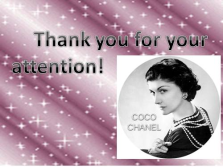 Now a lot of fashion items made ? ?in the style of Coco Chanel. 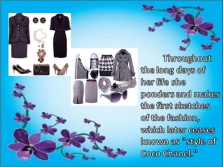 This ornamentation, handbags, shoes, and of course clothing. There is even a perfume from Coco Chanel.